In your editorial about the RCMP and Veterans Plates I would like to know if you are aware of the following federal legislation pertaining to the RCMP, as well as our military status which was awarded us by the King of England in 1921. 3. There shall continue to be a police force for Canada, which shall consist of officers and other members and be known as the Royal Canadian Mounted Police. R.S., c. R-9, s. 3. 4. The Force may be employed in such places within or “outside”Canada as the Governor in Council prescribes. R.S., c. R-9, s. 4. In 1921 King George V awardedthe RCMP the status of a regiment of dragoons, recognizing the service of its members during the First World War. 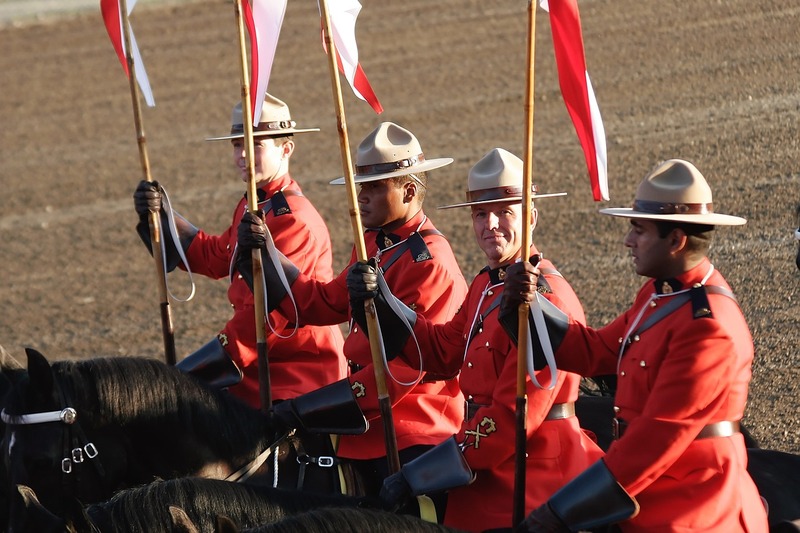 As a Regiment of Dragoons, the RCMP is entitled to display battle honours for its war service as well as carry a guidon, which it had been presented in 1935. While Regimental colours and guidons are no longer carried on operations by British and Commonwealth military, as was their initial military function, the battle honours they carry are held in high esteem by military personnel. Regiments take pride in their battle honours, and the winning of further battle honours, as these are seen to enhance a unit’s reputation. RCMP Battle Honours: North West Canada 1885, South Africa 1900–1902, The Great War: France and Flanders 1918, Siberia 1918–1919, The Second World War: Europe, 1939–1945. b) are currently serving during wartime, in a post-war capacity, or during a NATO or UN operation. i) This includes members of the RCMP and municipal police. À quotation in a article on J. Garry McEachern`s book, IF FREEDOM MEANS AS MUCH TO YOU states that “half of Canada`s army and three-quarters of its air force personnel never left the country.” This fact is also addressed in Graham Broad`s book A Small Price to Pay: Consumer Culture on the Canadian Home Front, 1939-45. RCMP members who sustain medical injuries are awarded disability pensions through Veterans Affairs Canada. All other police forces or emergency personnel must submit claims through their respective provincial departments. Up until a few years ago the Canadian Forces operated a daily scheduled airline flight across Canada using Military Aircraft. If there was available room RCMP members and their families were allowed to fly Priority 5 at a nominal cost person. 1) Members of the RCMP belong to a Dragoon Regiment. 2) Currently participating in International duties through the RCMP’s International Policing Development (IPD) office is voluntary. This does not preclude however the possibility that at any time a RCMP member could have been ordered to a war zone, a post-war capacity or a NATO or UN Operation at the direction of the Government of Canada, through the RCMP Act. 3) Since many RCMP members have never been sent outside of Canada, this should not make them subjected to a different set of criteria than that of members of Canadian Armed Forces. Canadian Armed Forces members qualify by just being a member, regardless of whether or not they have ever been posted overseas. Both serve at the pleasure of the Government of Canada and can be ordered at any time to support a war, be involved in a post-war capacity or participate in a NATO or UN operation. 4) These are the distinctions between City & Provincial Police and Emergency response personnel.